Today, I’m going to discuss top ways how to make money with Blogging in 2019. Please keep in mind, the revenue method discussed here in no way should hurt the user experience on your website, remember building relationship with your audience is the key to survival for your blog, you are not building a blog for today, but you are going to build an asset which should become more and more valuable over the time, respect your audience, listen to them, provide solutions to their problems and you will be earning in no time. 0.1 What You Will Learn in This Article on How to Make Money from Blogging? 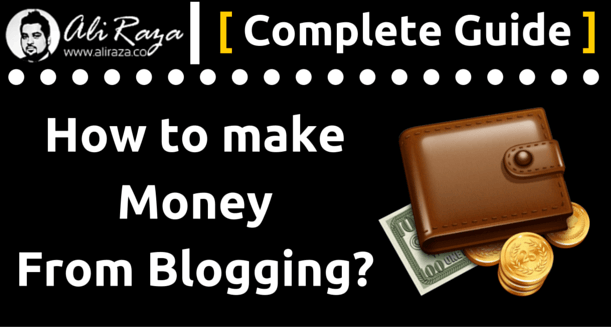 What You Will Learn in This Article on How to Make Money from Blogging? Why Advertising is not the only solution to earn revenue from your Blog? How you can earn money by doing problem solving for the people? How you can help your audience to improve their lives and at the same time, you make money too? Some examples of Successful Bloggers who earn money from Blogging. ‘How you can help your audience to improve their lives and at the same time, you make money too?’ Wouldn’t it be great? This should be the main aim of your revenue/earning model from your blog. Whatever you are selling or promoting on your blog, be it a product, service, blog post, deals, advertisement or anything should have only one FOCUS! and that is to improve and help people. You are promoting a product? discuss how it can be beneficial for people and you will start earning in NO TIME! Yes that’s the key. Checkout different ways on how to make money online via blogging in 2019. I’m going to quote an example of Matthew WoodWard here, who makes around $35,000 a month just from blogging and product reviewing (mostly), great isn’t it? What I like about his blogging strategy is that how greatly he has converted those product reviews into Tutorials and this way people understand better on how the product is going to be beneficial for them. Let’s have a look on How Matthew Wood Ward makes money from Paid Reviews, there is a section on his blog where he gives the option for people to ask him if they want to get there product reviewed. Lindsay from Pinchofyum, earned more then $6000 in the month of October 2015 by Selling Sponsored Posts and Product Reviews. This can be another great method for generating revenue for your blog, you can review two different products, mention both the benefits and disadvantages of the product and in the end you can put affiliate links, I believe if your product is good, you will have an audience for it too, and no product is perfect, everything has it’s pro’s and cons, it’s just a matter of priorities for someone. Affiliate Sales are a great way to refer products and services to your audience and make money through that, there are ample of bloggers who do this to make money. Like Matthew Woodward, there are many other examples, Making Sense of Cents Blog, earned more then $21,000 in the month of November 2015 from Affiliate Sales. Pat Flynn earned more then $75,000 last month doing affiliate sales from his blog(Keep in mind that Pat has other sources of Income too). Earning from Google Adsense is a great way to earn revenue from your blog and people are making thousands a month just by simply putting Google Adsense . This is one of the popular and well known method for bloggers to earn money online. For some inspiration, you can take a look at Viper Chill, they generated more then $100,000 a week from Google Adsense, cool isn’t it? I also would like to quote the example of Chris from Rankxl, who earns more then $20,000 a month through Google Adsense via niche sites. and if you are still not yet convinced, read the article of Jon, who was able to generate more then $371,835 Adsense Earnings through his Fatstacksblog. 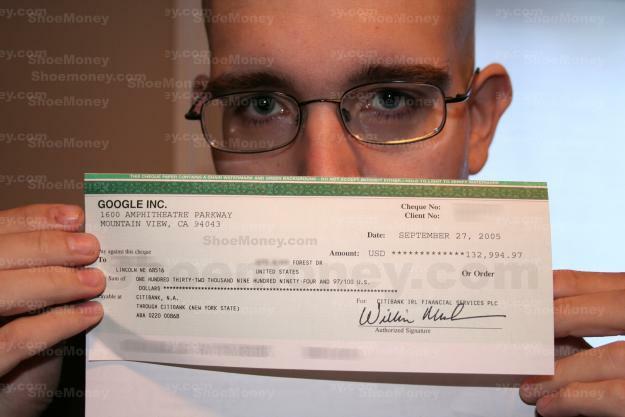 And how come I forget quoting the Shoemoney check for Adsense, he earned $132,994.97 way back in 2005 from Google Adsense. This is a well known picture of him, He is holding the check in his hands. I suggest you to check How to Earn with Google Adsense article for more in-depth tutorial on how to take the most out of it and look for Awesome Google Adsense Alternatives in case you don’t like Adsense. If you have a steady flow of traffic coming to your website, you can make money by selling advertising space on your website. Matthew WoodWard Earned more than $1000 by selling his personal advertising space on his blog in the month of November 2015. He uses BuySellAds to manage the advertising space on his website and if you check his Buysellads, looks like he is overbooked and if someone wants to advertise on his blog he has to go through the waiting list. This one is little relevant to Affiliate Marketing, So if you have a blog with good number of traffic, you can recommend various products to your readers from Amazon and make money with your referral link or even you can review Amazon products too or you can compare. So all you need to do is, find some products which you have used or you have a great knowledge about them, then start doing a product review, recommended product post or a product comparison with two or three different products. I believe this one doesn’t work with every niche or blog and work best for the authority blogs or if you are going a little far the word research which makes you exclusive or you are providing out of the box solutions or help then you should consider accepting donations too to cover the costs for the blog and make some money. However, Jason Kottke is a perfect example to see because he left his job and started working on his site as a Full time job by accepting donations to cover his expenditures. For those working on Fiverr, they must be familiar with the word ‘tip’, so basically you can apply the same psychology here to earn money by providing useful content and asking tips or donations in returns from the blog. You can make money too via promoting your web hosting company or refer customers to another hosting company, there are various examples to see who are making a lot of bucks just by promoting there web host. For some inspiration, Pat Flynn, earned more then $40,000 last month in November 2015, just by promoting Bluehost alone. I’m myself promoting different webhosting companies, like i’m doing on my Best WordPress hosting article. Writing an ebook and selling it to your audience can also pay you well if you have decent following. Harsh Agrawal from Shootmeloud.com, Earned more then $750 in the month of September, 2015 just by selling his ebook on Affiliate Marketing. So if your audience is impressed by what you write on your blog, they will highly be interested in buying your ebook too. When you have a readership to follow and if you are an authority in your niche, then it’s a great idea to write a good course in your niche to help other fellows and sell it via Udemy, not only it will get you sales from your readership but if your readers leave a good review after buying it, there are chances that visitors of Udemy may be interested in buying your course too. Let me tell you that if you look at the Johnny’s Monthly Blogging Report for the last month he is earning more then $700 a month from Udemy courses alone and let me tell you that he is not dependent on Udemy alone and it’s income is rising at an awesome rate. And if that is not convincing for you, you can consider looking at Nick Walker’s Income, who is generating more then $100,000 alone from creating courses at Udemy. If you are providing a service, even if you are a doctor, engineer, plumber, trainer, seo expert, accountant, graphic designer or provide any sort of services, you can promote your services on your blog and you can make money through it too. There are ample of examples to follow who are successfully doing Customer Generation, let’s have a look at Sydney’s Income report for the month of October, 2015. 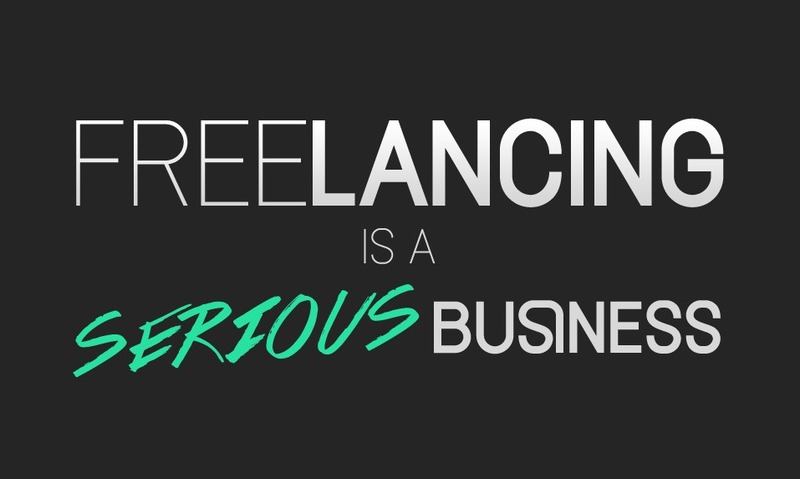 She earned more then $5400 from Freelancing alone. This one is little relevant to the service industry, however I wanted to highlight this method a little more, so I’m adding another headline for it. Michelle Schroeder from the blog, MakingSenseOfCents, earned more then $1500 alone from staff writing in the month of november, 2015. Keep in mind that her total income for the month of November, crossed $30,000. Another way to make money from blogging is to charge for premium content, if you can impress people from your free content, chances are that they are much likely interested in your premium content, provided it should worth every penny. If you have good amount of traffic and readers, you can (time by time) held some premium workshops, webinars or seminars on the topic you are an expert of and you will in no time, have people who are willing to pay to attend it. He Makes Money through monthly memberships, personal consultation and through his paid workshops. 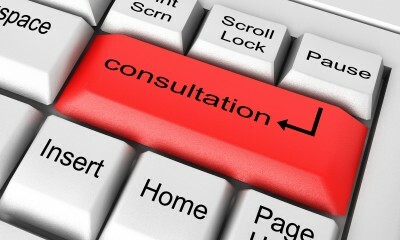 Another way to make money from blogging is provide personal consultations. Like last month I got a lead from Digital Marketing, as I specialize in PPC, SEO,SMO & SEM industry, this blog has started to prove me a real asset for generating personal consultations lead for me so if you can too provide personal consultations and start charging for it. Ron Stefansk from Onehourprofessor.com/ Earned more then $1100 just by doing consultation in the month of November, 2015. Overall, i have discussed various blogging techniques which are prove to be beneficial to me in terms of making money through the blog. But for all, this you need to take an ‘ACTION’ and Commitment.. are you ready for that? I also tried to quoted some successful blogger’s examples to prove my statements, these are simple and easy to follow methods which you can apply yourself too to earn money from your Blog! Recommended : My Beginners Guide on How to Make Money Online & Good Vlogging Cameras for your Vlogging Career! If you are short on budget and looking for cheap ways to make money online, checkout how to make money online without paying anything article. I have tried to discuss 25+ ways which requires little or no investment to earn money online. What methods did you find useful to earn money from your blog to make quick money online? What methods you think you will apply after reading this post? Which methods do you think won’t work well with your blog? Do you think if i have missed any methods or revenue generation module? You are welcome to add it via comments section. Stay tuned for the next post of Blogging Series, the next post is going to be the overview of the blogging series. Thank You Noor for visiting my blog and I appreciate your comments! Its always great to read your post.I learn a lot from you.But in all these aspects my big problem is always traffic.I tried hard to generate traffic but in vain.Can you please guide me in this regard. Thank you Nadeem for visiting my blog, I’m glad to know that you like my content and articles wondering if you have checked my How to Get Traffic to your blog post? It’s a great resource for those who want to learn how they can increase the traffic. Thank you so much for mentioning me in the article. 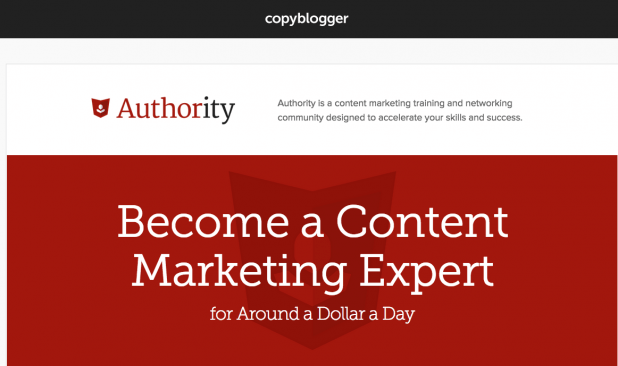 I’m sure this piece is going to help online marketers and bloggers who are starting off their journey. I emphasize a lot on ‘keep going and keep trying’… Because I succeeded that way. The consistency makes me what I am today. Thank you Hassaan for visiting my blog! I’m glad to know that you like my article and I really appreciate your suggestion, Yes ‘Consistency’ is the key, if you want to succeed in anything in your life, just keep trying and be consistent. Very nice and Informative information in this article. Thanks for sharing .Keep it. I’m glad that you like it, stay tuned for my next series. Making money from blog is really a big task for bloggers nowadays.. 🙁 you know why? because they only came to blogging to make money online and I always get these type of questions on my blog and on social media that How I can make money from my blog to make a living online? I love online industry (blogging) as it gave me very much that can’t be expected! Hey thanks for this amazing post. I created a blog about a year ago still money is a problem. Your’s welcome Himanshu! Consistency is the key to make money. Thank you Rimsha! Glad i was of some help to you. Great…!! that’s great advice good work, I read and also saw your every post, nice article very useful your post Thank you so much for sharing this and the information provide. Thanks Pushpendra, Glad I was of some help to you. Best wishes.